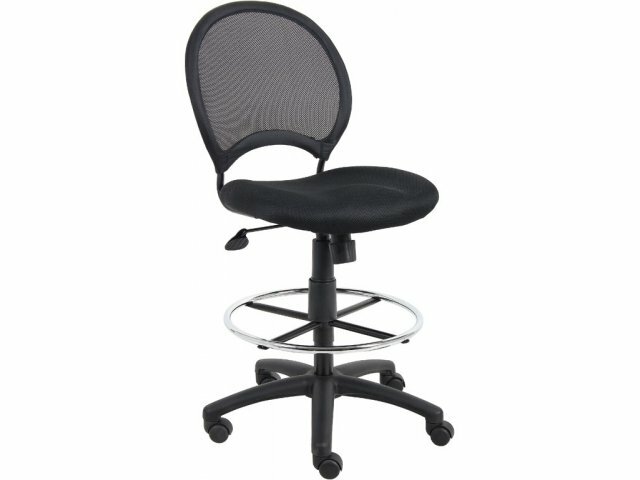 This full swivel drafting stool is designed to provide comfort and support yet still be breathable. A mesh fabric back keeps the user cool while the ample padding provides an exceptional level of comfort. 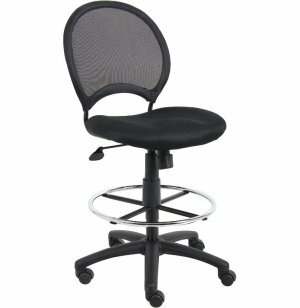 The drafting stool has a large 25" nylon base and a pneumatic gas lift which makes adjusting the seat height simple. A 20" diameter chrome foot ring enhances comfort. Breathable Mesh Back: Breathable mesh keeps air circulating to keep user cool. 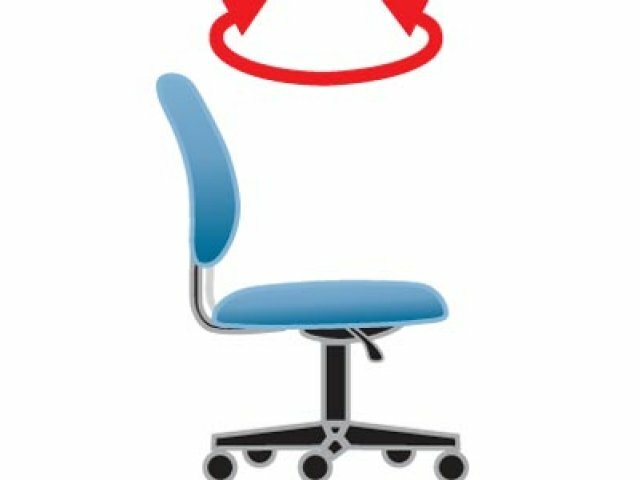 Plush Seat Padding: Ample foam padding within seat provides exceptional comfort. 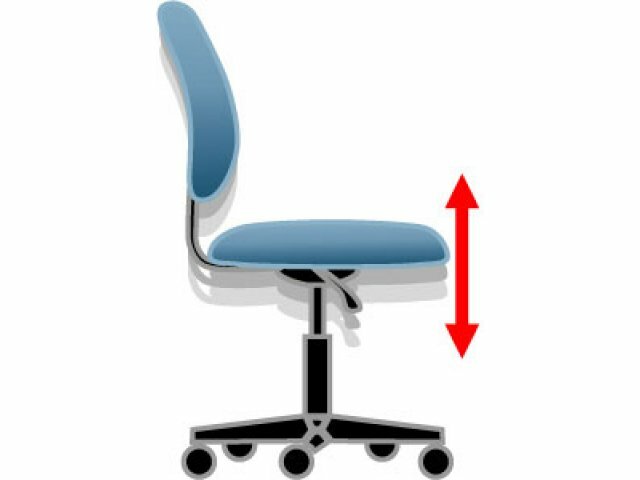 Easy Adjustment: Pneumatic gas lift makes seat-height adjustment with one hand simple. Footrest: Rest your feet on a 20" diameter chrome foot ring.